Call (705) 426-KART (5278) to book your Special Event! Create your own Championship Series! Choose from Public Karts or Championship Racing Karts! We will put together an Event Package that suits every budget, from small events to very large events. Our facilities are at your disposal for picnics, birthday cakes, etc., or we can arrange catering for you. Check out our most popular packages! We NEVER charge extra for Double Karts! All Championship Kart events include a FREE Practice Membership in our Arrive & Drive Program. 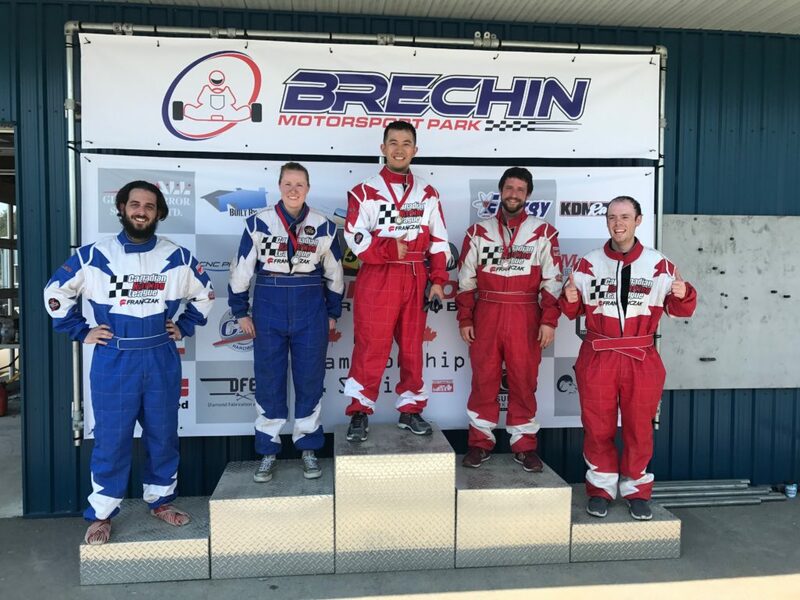 Use it to book Practice Sessions with us, or better yet, upgrade your membership to a full Racing Membership for only $50 and book additional racing events with us for only $80 per driver! Give us YOUR race schedule and we will hold a CUSTOM Championship Racing Series for YOUR group at YOUR convenience for only $80 per driver per race! Give us a call at (705) 426-5278 to book your event today!